Looking at the blank pages, she felt guilty that she had not started working on her novel. She closed her eyes and begged forgiveness to her Grandpa for the delay and also prayed to him for strength to honour her promise to him. 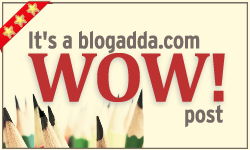 When she opened her eyes, the notebook's pages were no longer blank! She was surprised to see pictures and videos there! Their family's story's key scenes were available in all the pages, that too with replay option! She started seriously working, "referring" to the notebook, and typing using her laptop. The blank notebook served as her guide and inspiration. Her novel was nearing completion. Then, one fine day, she could no longer find the notebook. She frantically looked for it everywhere. It seemed to have disappeared mysteriously. That's when she woke up & realized that it was all a dream! Actually, she had fallen asleep when she had closed her eyes to pray to her Grandpa! 'If you can dream it, you can achieve it!' she thought energized. 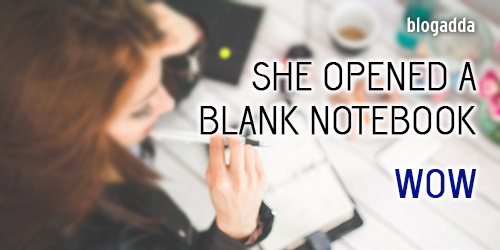 For her, the blank notebook's pages were no more blank. Placing the blank notebook on her desk, she started typing the story of her dreams. Do you feel that even a blank notebook can motivate? What do you think when you open a blank notebook? Do share in the comments below. Absolutely beautiful Anita. The fire is in our belly and no disappearing draft can stop us to make our dreams come true. True. If you can dream it, you can achieve it. A blank notebook is an ocean of infinite possibilities. For me, a blank notebook means endless possibilities of overflowing ideas. A blank canvas waiting for you to start your journey. Now where can I find a custom written term papers that will give me a blank notebook to start writing my term paper.